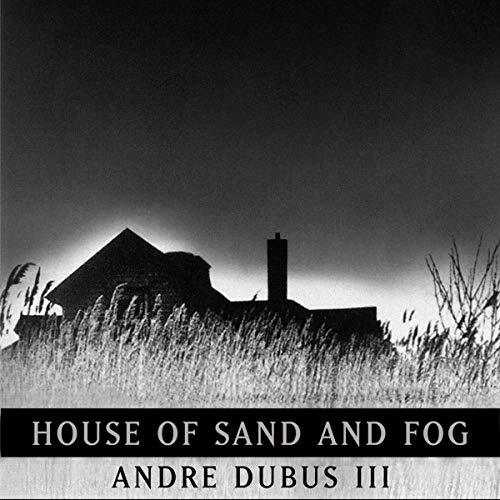 ©2001 Andre Dubus III (P)2001 HarperCollinsPublishers Inc. All rights reserved. I found this audiobook absolutely riveting -- almost perfectly read, with the important twist of having separate male and female voices, given that the book is mostly a series of interior monologues from the various characters. Yes, you know they are all spiraling down to disaster, but the author has caught the internal voices of the characters very well, sometimes exquisitely. The Irani ex-colonel is particularly finely wrought, but I found the others well done also. The book is a meditation on the many different ways we organize our relationships with others, and how many different ways those relationships can fall apart. Father, mother, husband, wife, child, sibling, lover, immigrant, native, boss, subordinate, trainee, soldier in a strict military hierarchy -- Dubus manages to explore and say something interesting about all of these ties, with a bit of political and economic commentary that is subordinate to the more important themes. An amazing audiobook, one of the most satisfying I have listened to. My only criticism -- the brief interludes of music between sections are jarringly inappropriate. One caveat to this review: I have not seen the movie, so I came to the book without any movie-induced preconceptions. I believe the relatively low customer rating of this book is misleading. Just because the story is a TRAGEDY, doesn't make it any less of a wonderful literary effort. Just because a reader doesn't like the morality the characters, the story is nonetheless brilliant! I am a longtime Audible member. I have never been compelled to review a book before online. I feel that House of Sand and Fog is one of the best works I have had the pleasure to listen to. The back-and-forth voices of the male and female combatants work wonderfully. The reader is steered into the lives of two completely opposite characters to look through their eyes from conflicting points of view. Each adversary contributes to the deterioration of the problem that leads to a shocking crescendo. After listening to this book, I went to see the "critically acclaimed" movie. The film cannot hold a candle to the depth of this book. The characters lives are developed methodically and perfectly to the extent to where the reader can clearly feel their pain. Perhaps, this is why some find it hard to take. Usually it is a mistake when an author narrates his/her own book. However, in this case the narration could not be more perfect. I basically missed a day of work listening to this book! It was so good I could not turn it off, so I sat at my desk doing busy work while listening! As I listened to it, I thought, 'There but for the grace of God go I'! While the main character is not perfect, she let a few mistakes snowball out of control. The reading was wonderful - especially the reading by the author - the accents were fabulous. I think it had to be better than actually reading it! I suspect I am going to be in the minority . . . I suspect I am going to be in the minority, but I did not like this book. As the one other (so far) reviewer has said, no one in the book is likeable. I found that to be a bit disconcerting, but I do have to admit that the real world is not densely populated by all wonderful people. I never met a dog I didn't like. The complete ineptness of everyone in resolving the property tax problem early on and the string of negative coincidences creating the situation made for a less than believable basic premise for the book. Has something like this every happened? I suppose so, but . . .
 Is anyone in this book ever capable of making just one reasonably sensible judgement, one which does not inevitably lead to disaster? One positive. I want to hire those builders who built that roof deck so incredibly quickly. Those guys are not in business in my area. Over-all, a book which seems highly over-rated to me. I enjoy Ben Kingsley's acting and I am sure he handles the Colonel's character very well but I will have to reserve seeing the film until some day when I am so overwhelmingly sunny and happy that I need to be brought down a few notches. This book is a very realistic look at self-centered bigotry and it's consequences. I kept hoping for some sort of compromise that would lead to a happy or at least satisfying ending for each of the characters and all I got was a dose of reality. While I was able to alternately sympathize with and despise all of the main characters, I felt the author's sympathies were slightly tilted toward one side. The situation was painted as impossible, but the only thing that made it impossible was the character's unwillingness to see anyone else's point of view. The narration was acceptable but didn't stand out as adding a great deal to the book. i read this book and could hardly put it down....the characters are perfectly portrayed and it is very hard to like any of them. who is right? who is deserving? how can something so simple turn out so tragic for all concerned. the ending couldn't have been more appropriate. This audiobook grabbed me by the ears and wouldn't let me put it down until it was done telling me its story. The characters reflect some of the better traits in all of us - romantic love, determination, familial bonds, responsibility, drive - and what can happen when these become flawed. They're enough like the rest of us that I identified with most of the characters, and cringed as things slowly began to fall apart for them. Who would you have cast as narrator instead of Andre Dubus III and Fontaine Dollas Dubus ? I generally enjoy when an author narrates her or his own book. It gives you a sense of tone that a more skilled reader might not always pick up. (Check out Roger Zelazney doing Nine Princes in Amber.) Here, though, Dubus isn't reading as a narrator. Instead, he's reading two different male characters. He simply doesn't have the range of expression to pull it off as well as it needs. Rather than give fuller identity to the characters, it makes them harder to distinguish. I remember this novel from a review I read when it first came out more than 15 years ago. The premise sounded amazing, and I still think so. This begins as a masterpiece. One of my favorite philosophers is Gaston Bachelard whose focus is on the experience of home. He explores the degree to which we understand ourselves based on the degree to which we feel at home in a certain place or among a certain group. In that light, this novel begins as a powerful exploration of two people who find “home,” who find the completion of themselves, in the same place. Kathy is a mostly down-on-her-luck recovering addict who needs the house to feel a connection to a past she’s trying to recover. She wants to be the person she once imagined, and the house is part of making that happen in the wake of being abandoned by her fellow addict boyfriend. Massoud is a former Iranian colonel, an officer who fled the country as the Shah fell and brought a stash of money with him. He’s spent the last 15 years watching his resources dwindle and experiencing his own slide into irrelevance. When he buys the house in a tax sale, it promises a new beginning. It gives him his first real stake in America, and it promises to make him whole again. That conflict is powerful, and Dubus writes lyrically about each character. The story is compelling as each works toward her or his need around the house. He has to make immediate changes so it can be more valuable in resale. She has to circle around it when, homeless, she is no longer certain where she belongs. Unfortunately, the novel takes a turn into something else midway through. [SPOILER] I have no problem with Kathy’s falling in love with a police officer who’s dealing with his own deep discontent, but it does bother me that he becomes more and more the driver of the plot. His sudden love for Kathy has him enlist, violently, on her side. The final quarter of the book, then, is less an exploration of the powerful grip a home can have on you than it is a study in the way desire and frustration can boil over. It’s still a compelling story, one that has the grip-your-attention power of a suspense story when you know, with dread, what’s coming but can’t look away. And, throughout, this is written in a beautiful fashion, one that recalls in parts for me the very different tone of Jefferey Eugenides.